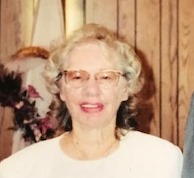 Patricia A. Johnson 81, Rochester, Indiana, passed away at 4:42 P.M. Saturday March 30, 2019 at Hickory Creek of Rochester. She was born on February 26, 1938 in Rochester, Indiana, the daughter of Louis and Louise (Windbigler) Kelly. On February 13, 1960 in Rochester, Indiana, she married Lester Dean “Spider” Edington. He preceded her in death on January 24, 1995. On September 22, 2000 in Rochester, Indiana, she married Uno A. Johnson and he preceded her in death on March 17, 2011. Patricia had worked for the Council on Aging as a caregiver for many years. She had been a member of the First Baptist Church and enjoyed reading, puzzles, photography and spending time with her family. Survivors include her siblings, Mary Downs, Wilmington, Maine, Barbara (Kenneth) Michael, Logansport, Indiana, Paul Kelly, Anaheim, California, Janet Kelly, Evanston, Illinois, Jean Kelly, Elkhart, Indiana, James (Deb) Kelly, Fulton, Indiana, Evelyn (Tim) Barton, Mentone, Indiana, Brian Kelly, Goshen, Indiana, Doug Kelly, Warsaw, Indiana, step-children, Victor (Linda) Johnson, Mount Pleasant, Michigan, Lester (Sue) Johnson, Plymouth, Indiana, Peter (JoAnn) Johnson, California, several step-grandchildren, nieces and nephews. She was preceded in death by her parents and sister, Elaine Alderfer.